I have been hearing whispers and gossip regarding the German Maestro range for quite some time now. Some of it good and some of it not so good. Naturally, I have not gone out of my way to acquire one until Hifi Headphones suggested I give the 8.35 D (32ohm edition) a try and very kindly allowed me some time with a unit. Now I actually got this along with a much more vaunted headphone in the $1000 range and the crazy thing is I am actually listening to the 8.35 D a bit more than I would like to admit, well actually, a hell of a lot more. 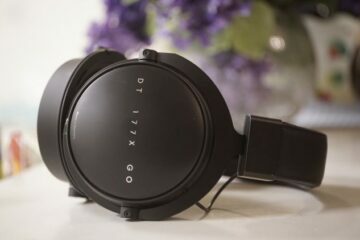 So much so the flagship has taken a backseat, albeit probably a temporary one, but nevertheless, I do want to take some time and introduce this headphone to you as probably the ‘surprise of the year’ for this cynical old chap’s listening preferences. First of all the name is relatively new in the market. You are not going to see immediate brand recognition like Sennheiser or Grado so they have their work cut out but then again they don’t come with any preconceptions either so no automatic bias. 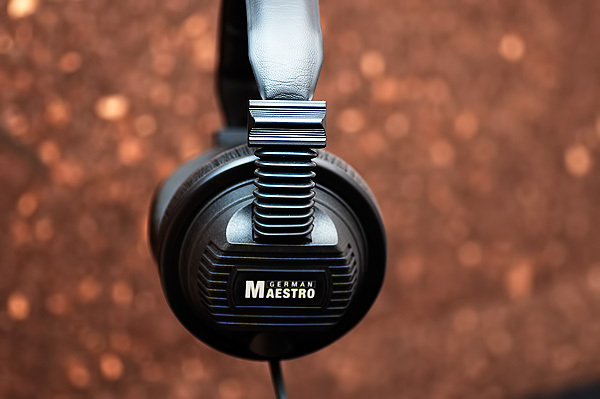 German Maestro was actually born out of the old MB Quart lineage of headphones so they are not completely new to the market in terms of know-how and development expertise. The second point to note is indeed they are a German firm and indeed the headphones are manufactured in Germany. Some people put a lot of stock in that and in the brief time I have handled them I can honestly say the quality of finish is exactly as the company intended them to be – near indestructible! These cans are really built to last and I don’t mean in a “drop them they might not break’ kind of way, I mean ‘drop them and stomp on them and then plug them in and listen to great music’ kind of way. I had previously mentioned last year I thought the Aiaiai TMA-1 set the standard for robustness, well the 8.35D just takes it up up a few notches. I wouldn’t bother buying a case for these (unless your packing it in a bag of nails), I just don’t see any way you can break them in normal everyday use. The whole casing is made from durable plastics that is very flexible indeed with some added leather on the headband underside for necessary comfort. The pads themselves are a flat pleather type that are not quite over the ear but rather very large on-ear. They are not the deepest of pads, certainly no J-Money and to be honest about 2-3mm more thickness might have just elevated this to very high comfort levels. For now, I would say they are relatively comfy fresh out of the box with a rock solid clamp. Isolation is pretty decent also and does what is required when the music gets going. I would say again though if the pads have a bit more depth and memory shaping they might have got the isolation a bit higher but then who knows what would happen to the sound as a result so I don’t recommend opening Pandora’s box on that one – stick with the stock initially because there is no real need to mod this can. The 8.35D is a 35ohm headphone and as such is a bit of a breeze when it comes to power. 35 ohms will release it from the desktop and give you portability and honestly, despite its size, I do see this potentially as a very good, if somewhat large, portable headphone. For me, the GM 8.35D sits above the Aiaiai TMA-1 and the Hd25-1 II and slightly below the Senn HD600/650 class and in direct competition with the Hifiman HE300 and the Beyer DT48’s. I can honestly say that those with a love for slightly darker sounding headphones with a smooth response and a nice mid-bass hump without loss of articulation will really enjoy the 8.35D. It is cleaner than the TMA-1 with greater clarity in the highs and less claustrophobia and aggression than the HD25-1 II. The cohesion is also much better than the Hifiman HE300. Everything flows with good coherence throughout. The bass is very present on the 8.35d but unlike both of the mobile counterparts is neither in your face or sloppy and slow. The coherence of the presentation makes everything almost dreamy and lush rather than pounding and in your face. I don’t think it is going to suit fast hard hitting high energy rock but interestingly enough I really enjoyed it with R&B, pop, and dance and particularly anything with electronics and vocals to the fore. The midbass hump lacks a little slam but this really benefits the coherence with the mids and highs giving the music much more depth without it being a bass nightmare and killing the mids. A-ha’s “To let you win” of 2000’s “Minor Earth, Major Sky” is just the right pace for these headphones and demonstrates its strengths really well. The clean presentation of Morten Harket’s intimate vocals was very lush and lacked any sibilance (a potential problem for close mic work on recordings like this). Certainly, the vocals did not get lost with a strong midrange that held it’s own. The highs on the 8.35D show a little roll off at the absolute top end giving it a more relaxed energy and removing potential fatigue with its non-spiky nature. One note on rock though – for those that have Graveyard’s 2012 album, “Hisingen Blues” will know that its a really warm close sounding rock album recorded in a very classic rock style. A bass heavy headphone or too warm and veiled and it will sound like pure rubbish. I highly recommend you take the 8.35d for a test run using this album. Outside of top-tier headphones, this is the first darkish closed headphone that I have seen it do justice to this album. The vocals are perfectly positioned, slightly forward and very clear without taking away from the very grungy garage nature of the band. I tried this album with my UM Merlin’s a few weeks back and was not as impressed as I was with the GM 8.35d in handling this type of sound. I had to switch the Merlin’s to silver cables to get closer to the 8.35D clarity. For amping purposes, I tried the 8.35am out of the FiiO E9 and E17, the KingRex UD384, uPower and Bravo Audio Ocean Tube Amp all the way up a Schiit Lyr and Burson Audio. One of our staff writers here mentioned the scaling of the 8.35d was not as strong as say some of its competitors like the Beyer DT250 and to be honest at 35ohms I did not expect it to scale the heights. It sounded great though out of the FiiO combo and if your dividing your budget between a good quality headphone and some low end amping I don’t think you have any fears from this matchup. On the mobile side, the E17 is plenty good in its own right. Keep the amping clean and the 8.35D is a perfect match for me. As I mentioned right at the start – this headphone for me was never really on my radar before. It is now. 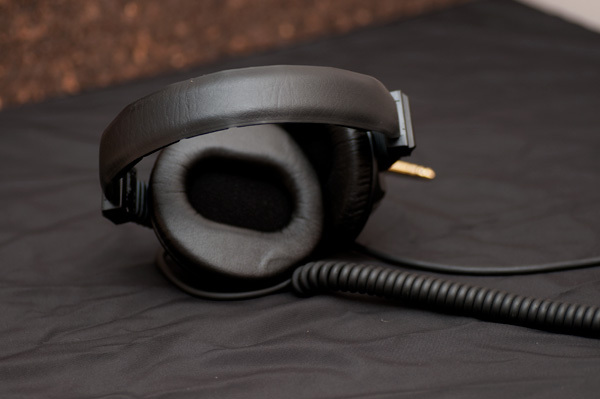 The 8.35D really is a flexible headphone across the genres with the possible exception of more challenging or technical jazz and classical tracks. The musical nature of its SQ allows it to deftly move between garage style rock such as Graveyard to David Guetta and still come out swinging. It bass punch is really satisfying without too much boom or sloppiness and it’s strong mids help everything to come out clean in the uppers without any fatiguing or sibilant highs. The easy driving nature gives it a mobility dimension and its build quality makes it one tough son of a gun! Massively underrated headphones I agree! MB Quart is essentially the same as German Maestro but I am not sure on how the 8.300D sounds to be honest having not tested them yet or the Q805. The chances of them being close in sound is high though. 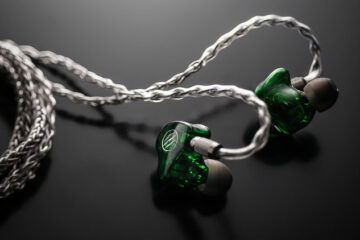 Actually I’m looking for a in-ear headphone with similar robust, durable , any suggest ? The only one that comes to mind with that same sturdy quality is the Aiaiai Swirl 2.0 which is pretty darn strong. Agreed on everything but the Merlin-recabling thing (cables make absolutely no difference in sound). My 8.35Ds get a lot of listening time, and I like the anti-bling looks. The only ones I prefer aesthetically are my Beyerdynamic DT48Es, and I’ll admit that I prefer the sound of the bassier GMs for most music. Actually I have the UM Merlin and the stock cable is a westone type copper variant. Changed it to silver and the difference is night and day – much better top end than before.